Week 4, Day 5 – What Say You? In light of what we’ve been talking about for the past 4 weeks, what do you see when you look at the picture above? One thing that our betrothal to Jesus speaks of is PARTNERSHIP. Our bridegroom God is longing for partnership with His bride. It’s the role of husbands: to lift up (empower) the wife through love and care and bring her on equal stature to himself. Though they (husband and wife) play different roles; they are ONE in working together to build the household. The Lord is about to release AUTHORITY & POWER to His Bride, the Church (globally) to partner with His purposes like never before seen in history. In the days Jesus walked the earth; James & John wanted to call down fire to destroy a village but Jesus rebuked them because they did not know His heart. Interestingly these very disciples who knew they had the authority to call down fire to destroy those who opposed them later on willingly gave upn their lives to their opposers. Why? Because they’ve grown to know the heart of Jesus. Paul on one occasion spoke against someone who opposed him and the person instantly went blind. Same with Peter, he spoke against Ananias and Saphira and they dropped dead right in front of Him. Such a men with that much authority, if it were their intention to preserve their lives; no one could have touched the, but with all the incredible and supernatural works God did through them, they willingly gave up their lives as martyrs. They did not love their lives to the point of holding onto it. Why? Because they knew the heart of their master Jesus. They didn’t use their authority selfishly or in their own understanding but walked in accordance with the Holy Spirit. The authority God is about to release to His church will require a people who knows His heart and His purposes (plans) for our times. A people walking in-sync with the Holy Spirit. Just like the Holy Spirit did with the church at it’s beginning so is He about to do and EVEN MUCH GREATER with the end-time church. Do you know that everything we accomplish in God starts with prayer. Prayer is the key to doing anything with eternal fruits. Prayer is the weapon given us to bring about His purposes. 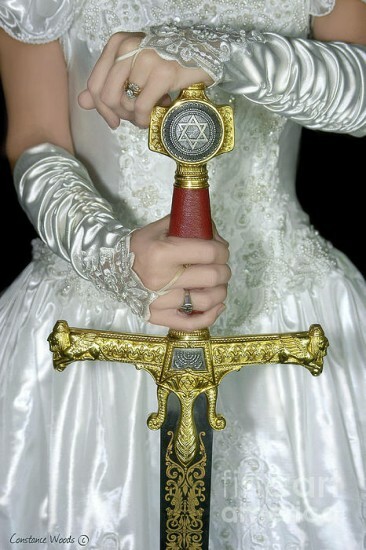 It’s the SWORD we’ve been given especially when we pray the scriptures. It’s the way in which we partner with Him. Prayer is our first step of action. There’s nothing that could stand against a Christian who understand their privileged position in God (Son & Bride) and prays from that stance in-sync with the Holy Spirit. That’s the kind of prayers that moves mountains, and those kinds of prayers are going to move not just the mountains but the entire earth.